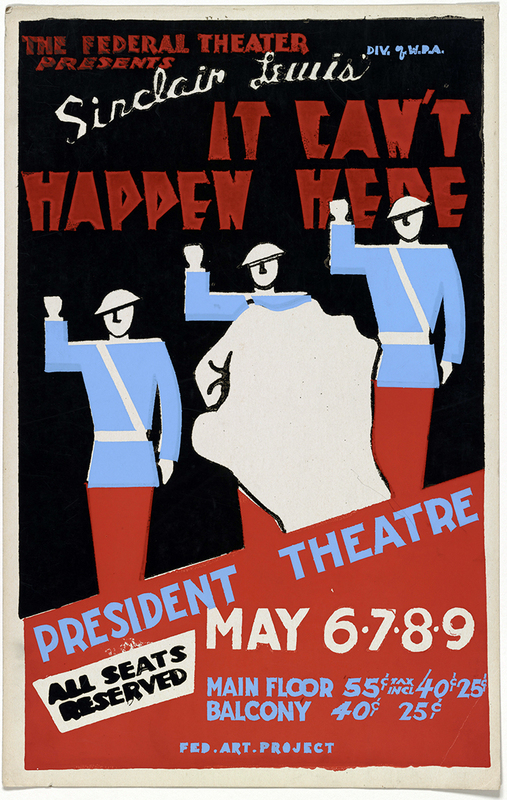 On Oct. 27, 1936, Connecticut theater-goers watched It Can’t Happen Here, performed by the Federal Theater Project, one of the New Deal’s progressive jobs programs. 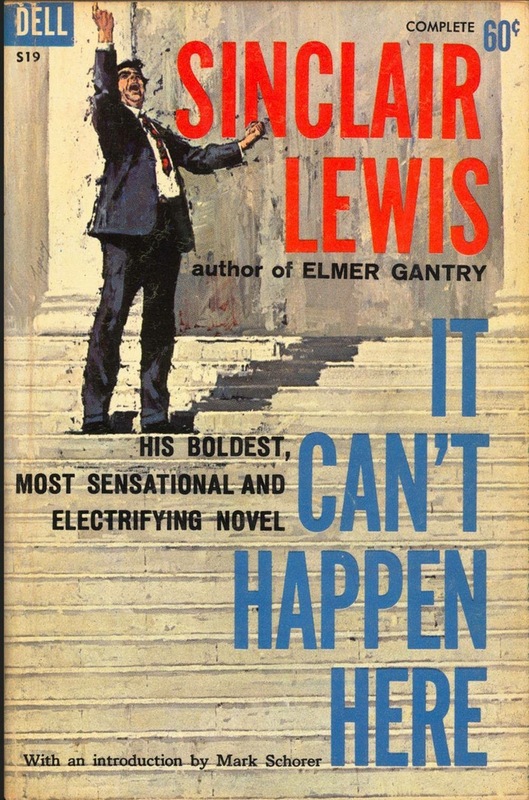 The Nobel prize winner Sinclair Lewis had refashioned his dystopian novel into a dramatic play. 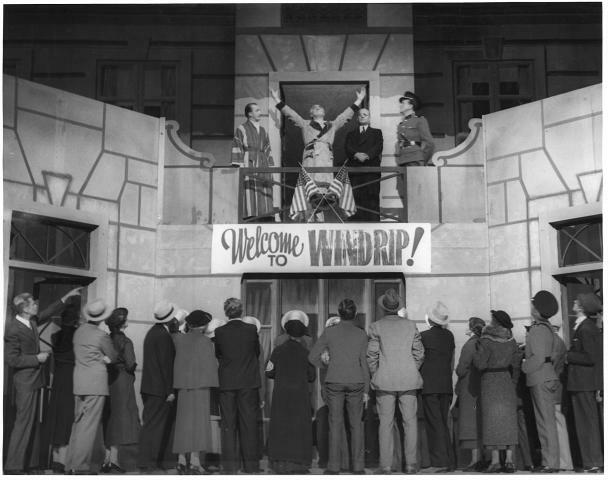 It premiered simultaneously in 21 cities across the country, including Hartford and Bridgeport. The author of Main Street and Babbitt believed that the real danger lay not from an outside invasion but from the cynical use by American leaders of patriotism, Christianity, and the drive to make America great again. Today, there is a resurgence in fascist ideology dressed as Americanism, according to the Southern Poverty Law Center (SPLC). It is called by many names, but it’s not monolithic and the groups have some ideological differences. They include the Alt-Right movement, neo-Nazis, the Traditional Workers Party, national anarchists, white nationalists, White Lives Matter, and “third position” adherents. They have a racist, anti-Semitic, totalitarian essence in common, heavy on armed resistance (hence their Second Amendment fetish). In Connecticut, a prime example is the local chapter of the Oath Keepers. They claim to be military veterans and police officers. The group pledges itself to a cherry-picked list of Constitutional rights. Their underlying implication is that they are ready to defend themselves against the immigrant hordes and compliant politicians who plan to rob them of their guns and individual freedoms. While small, this network reaches throughout New England and pops up at town fairs and weekend car shows (especially by collectors of used military vehicles). The Oath Keepers were prominent at the pro-gun demonstrations in 2013 and 2014 at the State Capitol. These rallies were triggered by the General Assembly’s passage of a law banning assault weapons and high-capacity magazines, and creation of a background check for gun buyers. The Oath Keepers are not the only collection of American fascists that has followers in this state. The SPLC identified 892 hate groups in the United States in 2015, a 14 percent increase over the previous year. Connecticut has its share of these organizations, including the National Socialist Freedom Movement, the Creativity Movement, and the Connecticut Minute Men. These misnamed grouplets don’t really foster socialism, freedom, creative expression, or an anti-colonial perspective. They hide their hateful nature behind euphemisms, much as the villain in It Can’t Happen Here created his “Minute Men” paramilitary force. Ironically, in 1968 an armed group also known as the Minutemen attacked peace activists at the Community for Nonviolent Action in Voluntown. The bullet holes are still on the living room wall of the peace activists’ farmhouse. This year, monitors report a spike in far-right activity. If this presidential election cycle teaches us anything, it is that under the right circumstances, the unthinkable can happen anywhere. Steve as always powerful writings. 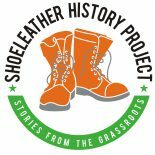 The “ShoeLeather History Project” encourages informative discourse for it’s readers based on well researched work by you. History with a Hartford connection..Whether The Panthers or “It Can’t Happen Here” the Shoeleather prompts me to say “Unless We Forget”. My regards to Kate. This entry was posted on November 22, 2016 by Steve Thornton in Hartford.